Adult members of the Pentecostal Missionary Church of Christ (4th Watch) Shiloh Area held their Adult Month opening service in Lipa City local church last February 3,2018. Consisting of Batangas Region Local Churches, Shiloh Area meditated upon the theme “Watching Household in the End-Time” from I Corinthians 16:15. With the congregational singing led by Sister Thelma Palbacal, it was evident that the faithful servants were all filled with joy and excitement. In observance of the adult month celebration, Sis Josephine De Torres, National Adult Watchers Department president, announced the important activities for this month. Furthermore, the said area launched the Adult Crusaders Team for more regions to be reached and more churches will be added in His vineyard. Later on, Group 1 to 4, Batangas Region Local Churches rendered their songs and interpretative dances to the tune of “We Belong”, an original composition by Sister Rochelle Magsombol, one of the adult members of the church. Pastor Dante Abainza, Shiloh Area Coordinator, one of the church presbyters and the Adult Watchers Department Adviser powerfully administered the word of God with conviction. 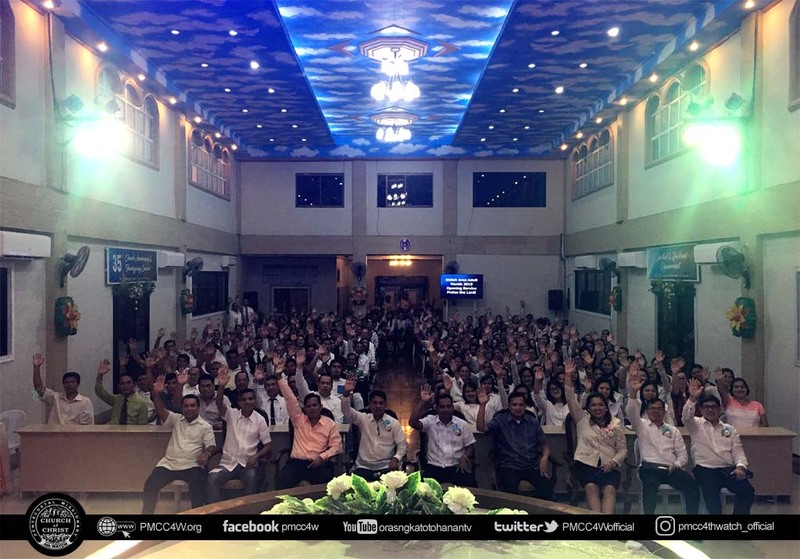 He encouraged the congregation to be more passionate in serving the Lord. “Ako at ang aking sambahayan ay maglilingkod sa Dios”, he added. Moreover, the household should serve God with commitment like the Goodman of the House. With these encouragements, and the assurance of God’s grace in doing His will, they were even more inspired in the activities being prepared for this month to strengthen the faith of every household in Christ.